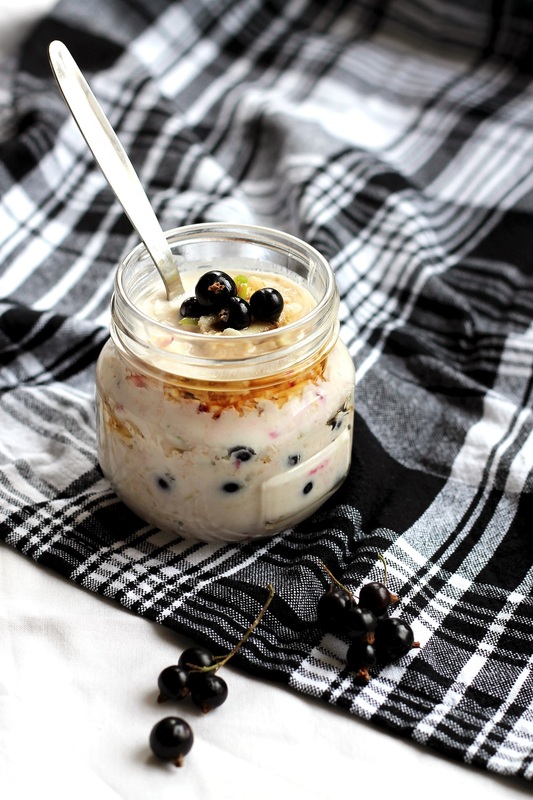 Ready in minutes, vegan, super healthy and SOOOO satisfying, bircher muesli is the berry best on-the-go breakfast around! The night before, mix together all the ingredients in a box or a jar. Pop the lid on and store in the fridge until morning. Right before serving, crush the berries aorund a bit, then transfer to a bowl. Top with a few fresh blackcurrants and a littel bit more maple syrup!